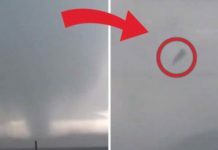 Amateur footage captures a tornado ripping through residential areas 110km southwest of Moscow on Thursday. 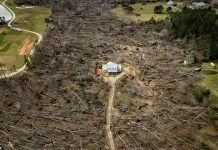 This is the second twister to hit Russia in a week, destroying vehicles and leaving houses and business properties damaged. 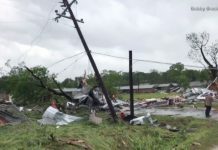 Trees and electricity poles were ripped up, leaving local residents without power. There have been no reports of serious injuries as a result of the storm.